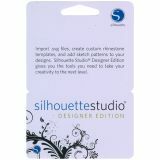 Silhouette Studio Designer Edition Upgrade Card - SILHOUETTE OF AMERICA-Silhouette Studio Designer Edition Upgrade Card. 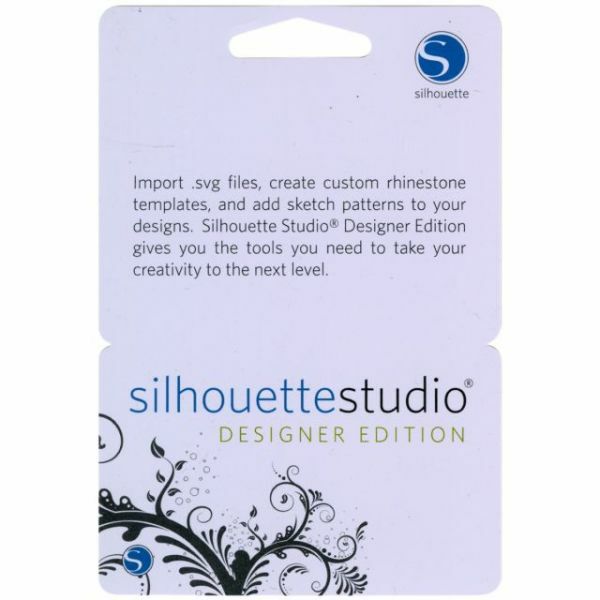 Import .svg files, create custom rhinestone templates and add sketch patterns to your designs. Silhouette Studio Designer Edition gives you the tools you need to take your creativity to the next level. Compatible with Windows XP, Vista, 7 and MAC OS X 10.5.8 and higher. Upgrading is easy. Simply download and install the most recent version of Silhouette Studio, open the program on your computer, click upgrade the designer edition, and type in the 16 digit license key below. This package contains one upgrade card. Made in USA.